While the recent backup in 10-year Treasury yields may look stark on short-term charts (namely 1-year and 2-year charts), the move we’ve seen in rates thus far is actually very normal considering where we are in the economic cycle. 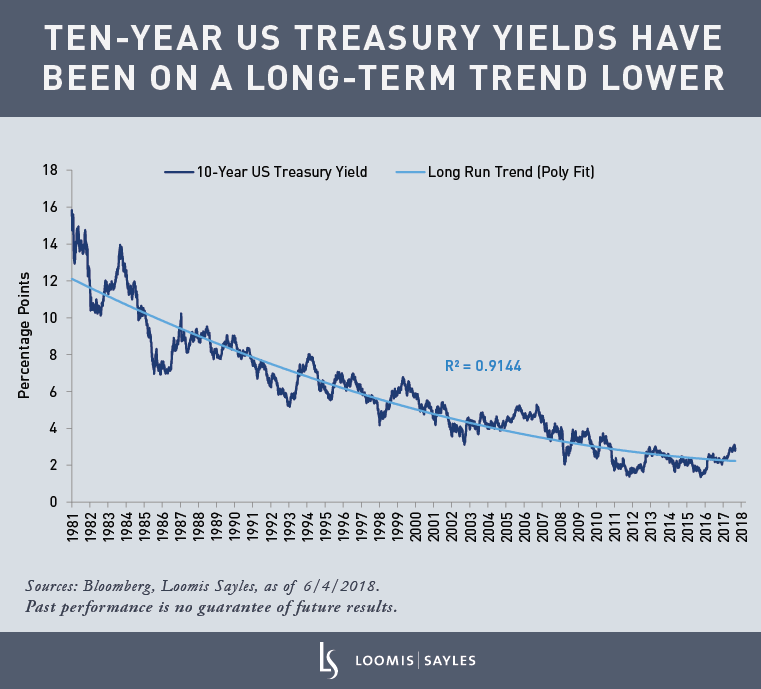 The 10-year Treasury yield has been in a long-term secular downtrend since interest rates peaked in the early 1980s. 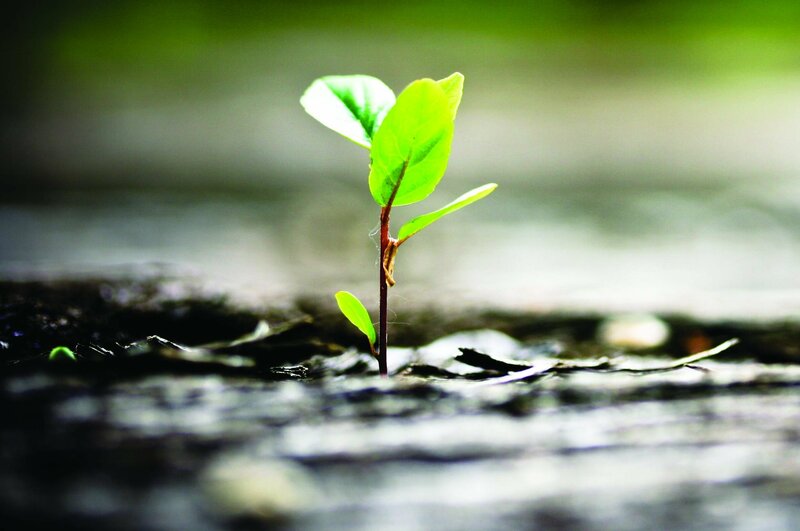 Within this long-term trend, there have been numerous sub-cycles tied to the broad macroeconomic cycle. Historically, rates have had a tendency to overshoot the long-run trend line later in the economic cycle as the Federal Reserve (Fed) hikes its policy rate, only to undershoot the trend line once growth stalls and the Fed is forced to begin easing. This overshooting of the trend line during Fed hiking cycles is illustrated in the chart below. The gray-shaded areas indicate when the Fed has hiked interest rates; in virtually every hiking cycle since the 1980s, the 10-year yield has reached or exceeded 1 standard deviation above this long-term trend line. So how does the recent move in 10-year yields measure up to previous cycles? For context, a 3% yield on the 10-year Treasury today would be about 0.9 standard deviations wide to the long-term trend (or about 77 basis points above the trend line). 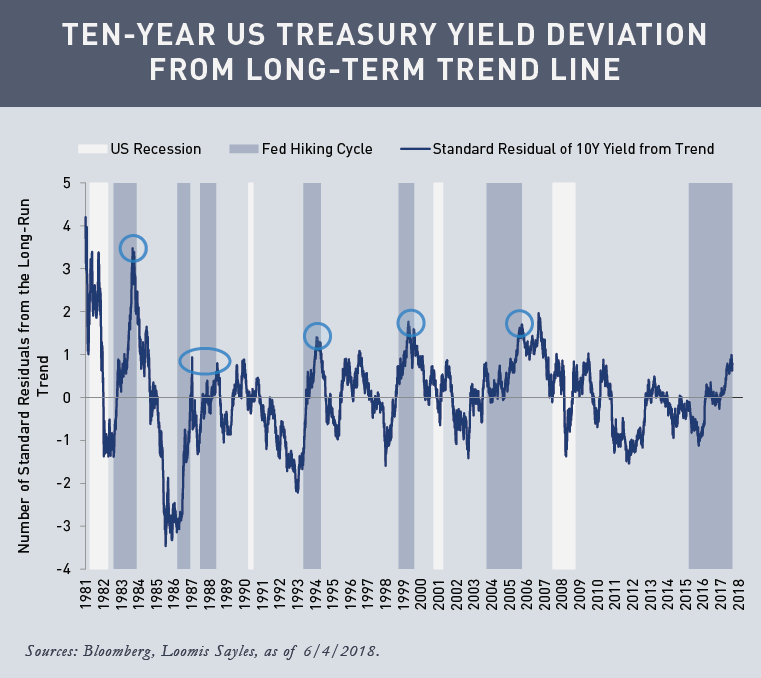 In previous hiking cycles, yields have traded as much as 2 standard deviations wide to the trend, which today would represent a 10-year yield of roughly 4.25%. While it’s difficult to say whether we’ll see rates approach a 4% yield given the multitude of factors driving interest rates, I do not believe a move of such magnitude would be out of the norm based on the last three decades of history.